Or, in not so many words – ‘the gross must pass through fire, let the fine be tried in intellect, and the lofty chosen ones in the highest’. ‘Lofty chosen ones’ is not an appeal to ego, for ‘to him that much is given, much is expected’. This is my review of Aaron Leitch‘s latest book on Amazon, to which I have given five stars. The overall impression I got of this book is that it is aimed at those who are already sold on the idea of Enochian Magic in principal, and would like to learn more about its background. Tradução (para o espanhol) dos vídeos “The Qlippoth – One: Luciferian Approach” e “The Qlippoth: Two Malkuth (Nahemoth)”. Michael W. Ford descreve o fundamento básico das esferas Qlifóticas em relação aos “Dez Infernos em Sete Lugares”. Este o foco de um capítulo de “The Bible of the Adversary”. Na segunda parte, Ford discute sobre Malkuth e o trabalho com as forças Qlifóticas. What is the Thelemic Holy Season? Every year from March 19th to April 10th, it has become a tradition for Thelemites to read part of the Holy Books and meditate upon the trump associated with the particular day. March 20th, the Spring Equinox, is also the Thelemic new year. This year, we are going into 110 NA (New Aeon), or the year of the Fool, era (or docosade, if you want to be fancy) of the Emperor. The Thelemic Holy Season starts on new year’s eve, but it ends with the Three Days of the Writing of the Book of the Law. Most people say Three-Days for short because it gets to be a mouthful. 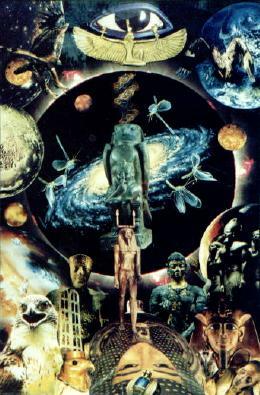 Aleister Crowley’s Secret Temple is a small, but concise and information-rich book by long-time Thelemic qabalist, Alrah Fraser. The basic premise of this book is like many others: that the Book of the Law isn’t what it seems, and through qabalah, we can find out more information. It is definitely an intermediate level – “Magick 202′ read, accessible to those who are familiar with both the Tree of Life and who have read the Book of the Law a few times. I do not feel I am fully qualified to write a review, having only read it once, but even upon cursory reading I would really recommend this as a fresh look at the Holy Books. 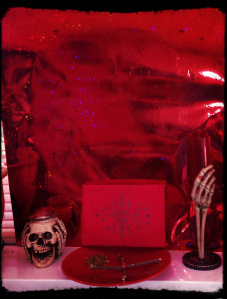 Papa Legba is the spirit of the crossroads. He guards the portal to the spirit world and is the intermediary between the spirits and humanity. Who doesn’t want a bit of magic in their life? Anne: Hi Pete! So first off, Magic or Magick? Este curto rito pode ser usado como uma ferramenta de aterramento para encerrar algum trabalho mágico pesado. O seu objetivo é promover o riso expondo os perigos de se achar o ban-ban-ban. Os discordianos há muito tempo identificaram Harpo Marx como um avatar contemporâneo de Harpócrates, o Deus do Silêncio. Harpo é o Senhor do Silêncio, Trikster (N. do t.: Malandro, Bufão), e Palhaço Sagrado.